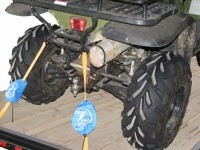 How many times have you gone to use your dirt bike tie down, ATV tie down, etc… and had to tie-up the excess strapping to prevent flapping or dragging of the excess strapping of the tie down straps. Not only is this annoying to spend the time tying up the excess strapping, it is equally as frustrating un-tying the knots made. The Strap Sack attaches to your existing tie down straps and hold all of the excess strapping and when you are finished, the Strap Sack stores the entire strap in the bag. No more tie downs laying in the bed of your truck or a in a bucket or bin all tangled-up. Using the storage capabilities of the Strap Sack, many store their tie downs in the side pocket of the truck. Most of us keep our tie downs in a bucket, crate, box, on a shelf, or in the back of our vehicles. This storage system tends to produce one thing- an aggravating mess! There is usually frustrating loss of time needed to unravel the straps that are entangled with other straps, rope, bungee cords, etc. When the tie down straps are applied to whatever you are attempting to secure there is always excess strapping that needs to be dealt with. For most of us this means tying several knots to secure the excess strapping that needs to be untied once you reach your destination. And of course, then the strap is thrown back in its previous unorganized storage space. THE SOLUTION IS STRAP SACK! The Strap Sack allows the user to secure the excess strapping without tying knots, preventing flapping or dragging. After use, the Strap Sack stores the entire tie down preventing a “spaghetti like” mess with other tie down. The Strap Sack installs to your existing tie downs in seconds. The Strap Sack quickly installs to any existing tie down strap. Take the end that is attached to the ratchet and slide it through the top of the bag (where the drawstring is located). Continue to feed it through the bottom of the bag and use the zip tie to cinch it to the strap. Cut off the remaining zip tie and the bag is installed. To use the Strap Sack simply remove the tie down strap from the sack, ratchet the tie down tight, pull the Strap Sack over the ratchet and the extra strapping goes in the bag. Use the drawstring to close the bag and away you go! Strap Sacks are made for different applications. All of the Strap Sacks have parachute cord drawstrings with cord stops and installed zip-tie for easy installation. The most common is the Medium duty 1″ – 1.5″ Strap Sack which is made of a quality rip-stop nylon fabric that is available in: red, orange, blue, black, and camouflage (not rip-stop). For a more demanding environment there are the new Heavy-duty Strap Sacks that are made of 7oz, 430 denier poly coated Pack Cloth. 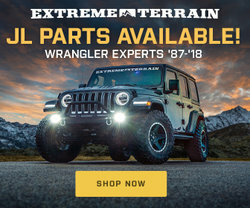 These are made for more rugged application or those who want to throw their straps in the back of the truck and then pile some wood on top. 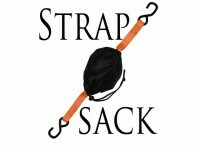 If you own Strap Sack and have used it, make sure to COMMENT and let others know what you think. Strap Sack is quite a handy tool to tie your dirt products….. Thank you for this wonderful post.